Bananas health benefits are impressive. And that's lucky for us, since bananas are the most popular fruit in the world. Plus, bananas' calories are low and bananas nutritional value is high. The reasons for the unchallenged popularity of this fruit are simple. Included among bananas benefits is the fact that they're wonderfully sweet and creamy with a naturally rich firm flesh. And bananas come prepackaged in their very own little easily unzippable yellow jackets. Plus, there's a generous supply available for us to eat all year long. So, what's not to like about bananas nutritional value? Bananas are one of the highest glycemic fruits on the glycemic foods index. Which means, eaten alone, they can raise your blood sugar. But this can easily be overcome by always eating bananas in combination with protein and possibly other lower glycemic fruits. They're a very rich source of potassium, which helps protect against heart disease. 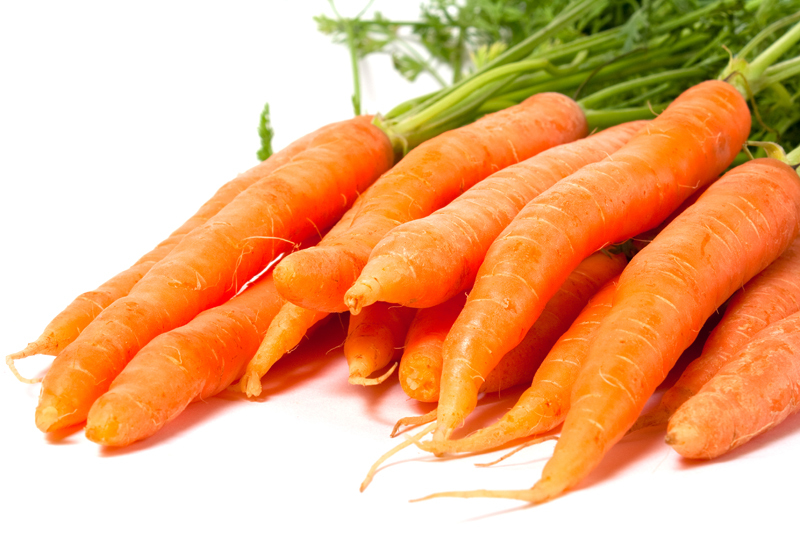 And they're also a good source of vitamins B6 and C, fiber and magnesium. Bananas calories are low – about 90 calories for a small banana. And they're very easy to digest and contain NO fat or sodium. Plus, bananas are great natural sources of instant energy. They're available all year long and are very convenient to use. Since they're so sweet, bananas also serve as a natural sugar substitute. They're a great snack after exercise and help replace lost vitamins and minerals. And bananas have serotonin and norepinephrine, making them a natural good mood food. A small banana contains about 400 mg of potassium and 4 grams of fiber. The potassium in bananas helps regulate blood pressure and reduce the risk of high blood pressure and stroke. Potassium is also necessary to help muscles contract during exercise and reduce cramping. 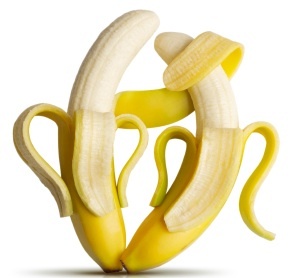 Bananas are one of the most unique of all fruits. This is because, unlike most other fruit, bananas don't grow on trees. They're 10 to 25 foot giant herb plants related to lilies and orchids. Choose bananas that are green tipped for ripening at home. Completely yellow bananas are ready to eat. As bananas ripen, they get more and more brown speckles and become sweeter. Very ripe brown speckled bananas are best for baking in whole grain breads or muffins. Store bananas at room temperature until they're ripe and then refrigerate. The peeling of the fruit will darken in the fridge but the banana inside will stay firm and sweet. To ripen a banana faster, put it in a brown paper bag overnight, preferably with a ripe banana or other ripe fruit. You can use bananas in cereal, mixed with yogurt and other fruit or to make a delicious fruit salad. You can also peel and freeze bananas to use in fruit smoothies or protein shakes.